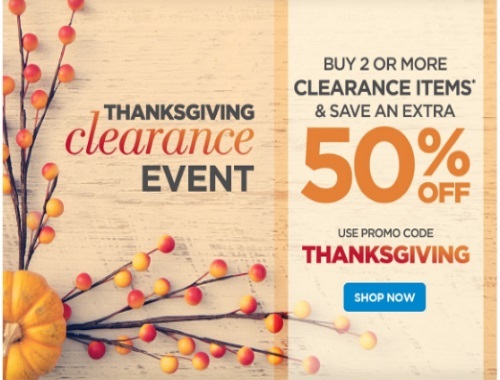 The Shopping Channel has a Thanksgiving Clearance Event on now! Save 50% off when you buy 2 or more clearance items with the promo code below! Enter the promo code THANKSGIVING at checkout. Offer ends October 13 2016 9:59pm ET.